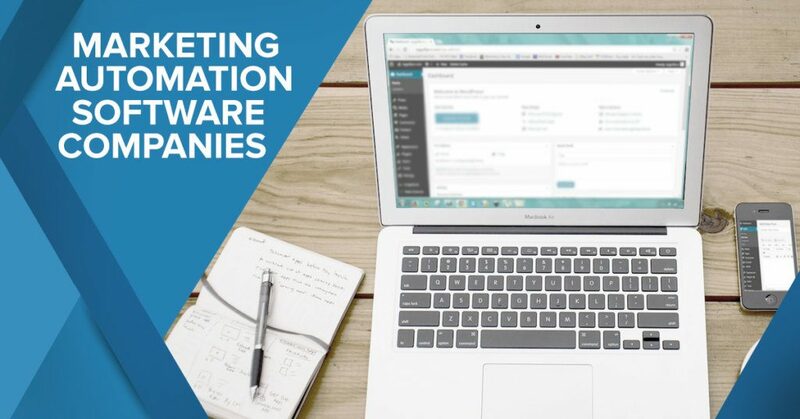 This article has been updated to reflect information on the 2019 list of marketing automation software companies to accurately reflect the latest platforms in the category. What is the top marketing automation software in 2019? The top marketing automation software in 2019 is HubSpot. This robust and comprehensive inbound marketing platform is a perennial favorite among marketers of businesses of all sizes as it helps in boosting your site traffic by attracting more visitors, convert more prospective customers, and allows you to implement full and scalable inbound marketing strategies according to your business needs. Its innovative features such as blogging, CMS, email and landing pages have again earned the nod of both our in-house experts and actual users to be voted as the top marketing automation platform for this year. Whether you are a professional marketer looking to enhance the lead generation efforts of your clients or an entrepreneur who wants to boost your company’s social media presence, marketing automation software provides the solution you’re looking for. Marketing automation offers a host of benefits, including time savings, more efficient use of your money, scalability, enhanced marketing and sales teamwork, and solid measures of productivity. These platforms also help boost your campaigns, achieve smarter audience targetting, and increase your revenues. But with a plethora of options on the market today, it can be confusing to pick the right choice for your business. To help you narrow down your choices, we’ve compiled this list of marketing automation software companies that are known to offer quality marketing platforms and have secured their credibility as a dependable software provider. The vendors included in this post were chosen according to their reliability, the types of businesses they serve, as well as the affordability of their products. This way, it will be easier for you to determine which ones will be able to cater to your needs. What are the top 20 marketing automation software companies of 2019? Marketing is one of the major elements of running a business. But handling all the tasks that come with it while keeping up with the demands of modern marketing can be complicated and exhausting. This is why many marketers and entrepreneurs opt to implement marketing automation software solutions. With features such as email automation, campaign management, microsite creation, and analytics, these platforms are great for optimizing a number of marketing tasks and improving the overall performance of your campaigns. In fact, according to a study by Salesforce, 77% percent of marketing automation users have seen an increase in lead conversions, making it a surefire way of getting a faster return on their investment. A recent survey highlighted problems that marketers face today. Some 14% said data integration is a major pain point, along with engagement (8%), along with finding the right tools and lead scoring. Simply put, marketing automation is one of the best ways to take your campaign efforts to new heights. But now that you’ve decided to implement one for your business, how can you make sure that you are investing in a reliable product? Other than finding out what your prospective software solutions have to offer, it is also important to learn more about its vendor. With that said, take a look at our list of marketing automation software companies to start your search. HubSpot is a leading provider of marketing automation solutions. Trusted by over 41,500 customers across the globe, this technology firm provides advanced systems like its HubSpot Marketing software to help you increase conversions. This intuitive platform is equipped with a number of top-of-the-line features for lead management, analytics, social media monitoring, email management, and marketing automation. By utilizing this software solution, you can optimize marketing efforts and improve the overall effect of your strategies with ease. Some of its new features include content partitioning for easy multi-team collaboration, new brand domain add-on, increased control for social media posting, and analytics views for web traffic report segmentation. For your convenience, all HubSpot products are accessible via mobile and desktop devices, so you can work on-the-go. A freemium is available, but you can also opt for a test drive of its advanced feature set when you sign up for a HubSpot free trial here. Offers Best-in-Class Products. HubSpot is dedicated to providing its clients with best-in-class products. To ensure the quality of its software solutions, its dedicated team closely coordinates with tech-savvy entrepreneurs and reputable industry leaders to continuously improve their platform. The company also makes it a point to hire experienced staff members who are dedicated to innovation, so you can be confident that you are in good hands. Personalized Marketing Automation. A personable approach to business is one of the best marketing strategies you can possibly implement. To help you do this, HubSpot made sure to create marketing automation that you can easily add a human touch. This way, you can automate your interactions with your target market without it coming off as impersonal. Positive Work Environment. The HubSpot management believes that cultivating a positive office environment can do wonders for their output. Aside from promoting knowledge sharing, they also provide their employees with opportunities to further hone their skills. This way, they can create better products for their clients. Salesforce is one of the pioneers in creating cloud-based platforms. Founded in 1999, it had served over 150,000 companies since its inception. The tech firm offers products for CRM, digital commerce, project management, and customer service software solutions, including an intuitive marketing automation platform called Pardot. Built for B2B companies, this cloud-hosted system combines powerful lead nurturing and sales intelligence features in one interface for easier marketing campaign management. Pardot’s new features include enhancements to the Salesforce Lightning Design System, capability to send ‘engage’ emails, and more robust blocking of email interactions with non-human users. The vendor offers a comprehensive free trial to get you up to speed with the features. You can sign up for the Pardot free demo here. Widely Recognized Company. Salesforce is known not only for their quality products but also for its great service. A testament to its efforts is the number of accolades the firm has received throughout their many years in the business. Organizations such as Forbes, Fortune, and IDC are among those that have awarded Pardot with prestigious recognition. Experienced Management Team. Companies are only as good as the people running them. This is why Salesforce only hires experienced professionals who are dedicated to further expanding their knowledge in the industry and honing their skills. With these said, you can be confident that you will be working with people who are passionate as you are about marketing when you partner with Salesforce. Great Core Values. Trust, Growth, Innovation, and Equality are the core values upon which Salesforce conducts its business. These values help its workforce develop a more positive work environment that is conducive to continual learning and productive collaborations. By doing so, the employees are able to concentrate on improving their products and services for their clients. SendinBlue Email is a powerful yet easy-to-use marketing automation platform that allows businesses of all sizes build and cultivate relationships using advanced marketing workflow automation tools to communicate, captivate and convert potential customers into loyal ones. With offices in India, France, and the U.S., this company designs innovative marketing solutions to leverage upon its sophisticated email platform such as knowing whether recipients have read sent emails as well as readily modifying the content to enhance customer engagement. You can also take advantage of personalizing its professionally designed email templates, with new designs added regularly, to suit the flavor of your campaign, thereby helping increase leads conversion. In case you just want to try out first its features, you can easily sign up for SendinBlue Email trial here. Design attractive, effective campaigns with ease. You can easily create engaging newsletters for your campaigns to boost customer loyalty using its user-friendly drag-and-drop HTML email editor. Develop and segment your market. With SendinBlue, gathering and managing your contacts list has become as simple as counting 1-2-3 using its multiple-list, customizable subscription forms that can be readily incorporated into the design of your web page; it is GDPR-compliant, too. Advanced marketing automation using a few clicks. You can optimize your contact management by customizing workflows based on your preferences. Choose from eight ready-made automation workflow templates to quickly provide an enhanced user experience. SharpSpring is a marketing automation vendor dedicated to helping marketers optimize their operations. Serving small and medium-sized businesses, this Gainesville, Florida-based company aims to provide you with ways to grow your agency and build higher-value relationships with your clients. It does this through its comprehensive, intuitive platform that is equipped with tools for custom deal stages, call tracking, email analytics, lead management, and much, much more. The company launched two new key features for its social media management solution–SharpSpring Social and a new Content Calendar. These new functionalities offer users with an all-in-one platform to allow the management of their total digital marketing strategy using a single solution. You can easily try out the features of this product with a great free demo offered by the vendor. You can easily sign up for SharpSpring demo here. Affordable Pricing Plans. SharpSpring offers pricing plans that cost as little as 1/10th of the competing solutions, making this vendor an ideal choice for smaller-scale businesses that have limited funds. The company also refrains from offering long-term contracts, so that you may easily choose to end your subscription and opt for a different program if you find that its software is not suitable for your operations. Great Agency Support. No matter how advanced a particular software solution may be, it is still vulnerable to technical glitches. This is why SharpSpring offers 24/7 phone and email support for its clients. On top of that, the company has over 100 training videos available in the database, so you can continuously learn about what the program has to offer. Flexible Platform Architecture. It is almost impossible to find a marketing platform that can provide your business with everything that you need. However, in the case of SharpSpring, its team designed the software to have a flexible architecture that you can easily modify. It has a powerful API and can integrate with a number of third-party applications, so you can configure it to your heart’s content. ContactPigeon is a comprehensive marketing automation platform for eCommerce. It employs an all-in-one marketing approach that sends communications at the correct moment using unique, customized messages for every customer to ensure high user engagement. ContactPigeon integrates every distinct customer behavior with eCommerce data, which is stored in one centralized repository, allowing users to design and perform distinct marketing initiatives and automation, which helps you to boost sales in more ways than one. The company recently upgraded its email marketing platform with an AI-powered delivery optimization, a “second chance” booster, a countdown timer to improve click-throughs, and new fonts for better personalization. You can try all its features at no cost when you sign up for a ContactPigeon free trial here. Robust Automation. Intelligent automation scenarios and prompts allow you to effectively engage your audience at the best time during the marketing journey. Unique personalization. Its sophisticated segmentation tool provides one-on-one scalable, customized customer experiences. Advanced Analytics. ContactPigeon’s real-time user interface of web-based, campaign and eCommerce activities enables you to achieve better outcomes for every marketing campaign that you roll out. GrowSurf is a free referral marketing automation platform for initiating viral campaigns to gain more subscribers, users, and customers. Suitable to businesses of any type or size, this marketing solution primarily taps into the power of word-of-mouth marketing to help you gain fast outcomes for your enterprise. This Chicago, IL-based vendor offers this app free to use and features numerous functionalities and tools, including integration capabilities with popular software like Webhooks, Zapier, and MailChimp. With GrowSurf, you can easily create and perform your online campaigns, generate various marketing reports, reach out to particular customers, etc. Once you’ve done your campaign, you only need to embed it to your website and other online channels without the need for any coding know-how. You can check all the features when you sign up for a GrowSurf free trial here. Unlimited Campaigns and Contacts. Launch as many referral campaigns as you want. You can have an unlimited amount of contacts for each campaign. Use the power of word-of-mouth marketing to your advantage. GrowSurf is free referral marketing software that lets you tap into your word-of-mouth marketing potential to see instant results. Easy to use, instant results. Launch refer-a-friend campaigns, viral contests, leaderboards, and pre-launch waitlists in minutes with our easy-to-use referral program software. bpm’online is one of the leading vendors of cloud-hosted programs. Used by over 6,500 customers worldwide, this vendor helps businesses of all sizes handle customer-related processes through intelligent automation solutions. From sales and helpdesk systems to CRM and business process management, it offers all the tools you need to optimize front-office and back-office task. This company also prides itself in providing a holistic multichannel marketing platform called bpm’online marketing. It is equipped with quality features that enable users to create out-of-the-box campaigns. Some of its new features include enhanced campaign page design, email subject macros for improved email customization, new email preview setup tools, WordPress integration, Kickfire and Dotmailer connectors, and new ABM (account-based marketing) tools. User-Friendly Platform. Not all companies have in-house tech experts who can configure their marketing platforms for them. This is why bpm’online focuses on making low-code, user-friendly software solutions. By doing so, they are able to help their clients get the most out of their investment without having to hire external help or deal with complicated technical processes. Multi-Awarded Company. Widely recognized by industry analysts, bpm’online has received plenty of awards since its establishment. The Forrester Wave recognized this company as a leader in CRM suite creation and a strong performer in manufacturing automation solutions, lead-to-revenue management platforms, and more. Offers Various Business Software. Other than marketing systems, bpm’online offers an array of business platforms. Because of this, its customers can easily build a complete automation process for their company without having to find other software providers. Established in 2006, Marketo is known for its scalable, intuitive marketing platform. Through this automation system, this software maker helps professionals in various industries engage their customers in the most efficient yet personable manner. Created by Phil Hernandez and other expert marketers, their application is equipped to handle various tasks such as automation, email marketing, inbound marketing, budgeting, and consumer engagement. Solid Business Values. Customer Passion, Results First, Speak the Truth, One Team, and Aspire to be Great are the anchors on which Marketo conducts its operations. These solid business values allow the vendor to continue creating top-of-the-line products and services for their clients. Specially Made for Marketers. Marketo consists of employees with extensive experience in the marketing industry. The company leverages its team’s knowledge and expertise to create effective solutions that marketers will surely be able to appreciate. Dependable Customer Support. The people behind Marketo understands that in order to take their platform to greater heights, they will need to be receptive towards feedback. This is why they make it a point to listen closely to the concerns and suggestions of their customers. By doing so, they can refine their software solutions for better user experience. ActiveCampaign is a tech startup that specializes in creating contact management tools for business owners. Over the years, the vendor eventually expanded its products by venturing into CRM, sales automation, and marketing automation. Headquartered in Chicago, it offers innovative all-in-one marketing platform options that are equipped with complete features. These tools include email design, scheduling, segmentation, newsletter building, SMS marketing, and even content management. Promotes Collaboration Among Customers. One software can be used in multiple ways, however, the software developer won’t always be able to predict how their customers will utilize it. So as to promote collaboration among customers, ActiveCampaign created a forum that facilitates these interactions. This way, you can learn from other users as well as be able to share your strategies on making the most out of the platform. Simplifies Marketing Solutions. Just because a marketing platform is advanced doesn’t mean it should be complicated to use and manage. ActiveCampaign aims to simplify marketing processes, so its team made it a point to keep the architecture of its software simple and easy-to-use. This way, the platform can easily be utilized by both professionals and novice users. Unparalleled Technical Support. Worried about encountering technical difficulties in your platform? ActiveCampaign offers 24/7 technical support to make sure you minimize downtimes as you resolve these issues. On top of that, its team provides customer training and a resource portal, so you can quickly train your staff on how to use the software. Established in 2012, LeadSquared is a company that offers sales systems, mobile CRM solutions, and lead conversion platforms. On top of these products, the firm also provides a cloud-based marketing automation platform called LeadSquared Marketing Automation. This marketing solution aims to streamline campaigns using comprehensive tools for automation, analytics, lead management, website tracking, and list segmentation. These features are also mobile-ready so that it is easy for users to work on-the-go. Why Choose LeadSquared Marketing Automation? Expertly Engineered Platforms. The people at LeadSquared are dedicated to providing good quality platforms. This is why they spent months working with dozens of businesses in order to build their engines. By doing so, the company is able to create expertly engineered platforms that can seamlessly work on different types of devices. Complete Resources for Users. Getting the most out of a particular software lies in being able to maximize its functions. To help you ensure that you are using LeadSquared’s products to its fullest, the firm offers online demos as well as a complete help portal. This way, you can easily navigate your way through their software and even learn some tips and tricks that might elevate the way you use the platform. Various Software Solutions. While LeadSquared focuses heavily on marketing automation, it also offers best-in-class sales systems, mobile CRM software, and lead conversion platforms. Meaning, you can easily get all the software solutions you need for your operations without having to find multiple vendors. Founded in 2003, iContact is a software vendor that primarily serves small to medium-sized businesses across the globe. It offers best-in-class platforms that scale up or down depending on the requirements of your business. Among these platforms is iContact Pro, a marketing automation system. This particular software solution provides a wide variety of powerful features for social monitoring, content management, email marketing, as well as analytics and CRM. Affiliated With a Reputable Firm. iContact is one of the companies under the Cision Group. This global media intelligence firm provides iContact with funding that allows its product development team to further improve its marketing automation products. Additionally, by being affiliated with this conglomerate, iContact is able to create a software that works seamlessly with other solutions from Cision’s companies. Recognized by Numerous Organizations. Over the years, iContact has dedicated itself to creating top-of-the-line products. As a testament to its efforts, the company has been recognized by a number of reputable organizations. Among these are the Business Journal and Blogging Pro. Trusted by Companies from Various Industries. iContact is trusted by companies from varying industries. This goes to show that they can easily adapt to the needs of their clients. Whether you own a nonprofit organization, a real estate firm, a finance company, a tourism agency, or an educational institution, this firm is sure to have marketing automation solutions for you. Wishpond is a reputable software vendor known for its online marketing platform. Trusted by Quercus, Go Eco, The Jane Goodall Institute, and other organizations, it helps companies increase viewership and improve lead generation using best-in-class tools that are easy to implement, use, and maintain. The firm’s system features marketing automation, social posting, website pop-ups, lead management, API access, and custom CSS. It also supports a number of CRM integrations for your convenience. Close-Knit Team of Experts. Wishpond makes it a point to cultivate strong bonds among its team members. This is what helps them collaborate better in order to create innovative and reliable software solutions for their customers. Comprehensive Marketing Platform. Marketers often want software solutions that can do it all, so that they reduce the time spent on jumping from one platform to another. This is exactly what Wishpond had resolved by creating intuitive software that can generate, manage, and nurture leads. The system not only has tools for automation, lead tracking, and analytics, it also has built-in collaboration apps for easier campaign management. Used by Thousands of Companies. Wishpond offers affordable and scalable marketing solutions, making this tech firm an ideal option for all types and sizes of companies. Some of its notable customers include Yyoga, Inkedibles, London Drugs, Stitch Collective, Cornwall Centre, and Diamond Candles. Infusionsoft is a software development company founded in 2001. Consisting of employees with the first-hand experience in running a startup, this company is dedicated to helping small businesses succeed in their marketing efforts. Serving 145,000 users in different countries, it offers a web-based platform that can handle marketing automation, CRM, and sales. It is designed to process payments, track orders, publish content, or even implement referral programs all in one convenient interface, making your workload significantly lighter. Hands-On Customer Support. Infusionsoft goes beyond the usual 24/7 technical assistance. It provides hands-on consulting services and live training to help you get a better grasp on how their software solutions work. Whether you are a professional who wants to improve your use of their platform or a novice user who wants to understand how to use it, count on its team of experts to provide you with reliable support. Great Customer Reviews. One of the most efficient ways of checking the quality of a product is by looking at customer reviews. This will give you access to unfiltered comments that came from individuals who actually used the product. In the case of Infusionsoft, the firm has received stellar reviews from its clients since it started operations, so you can be confident about the reliability of its product and service offerings. Focused on Helping You Find the Right Product. Instead of focusing on making a sale, Infusionsoft puts your best interests first. It will provide you with all the resources you need to be able to deliberate whether or not their platform is ideal for your business. This way, you won’t waste money on software that is not compatible with your operations. ZetaHub is a marketing company established 10 years ago. It offers a results-oriented marketing system called Boomtrain that leverages the power of artificial intelligence to create good web content. It is equipped with tools for drip marketing, event scheduling, campaign reporting, and delivery tracking to help you optimize your operations. The system is also fully customizable and can support a multitude of integrations for your convenience. Relied on by Fortune 500 Companies. ZetaHub has a gung-ho attitude when it comes to providing its services. The company applies a “make it happen” approach that allows them to solve problems quickly and execute their plans as efficiently as possible. In addition, it has a strong foundation of practices that allow its employees to readily innovate and be more productive. This is why it comes as no surprise that many Fortune 500 companies rely on their software solutions for their marketing automation needs. Data-Driven Approach to Marketing. In this day and age, data is everything–especially in business. To help you deliver continuous ROI improvement, ZetaHub provides a data-driven approach to marketing that will allow you to manage, track, and analyze your products better. This way, you can get faster and more in-depth insights into your decision-making process. Dedicated Team of Experts. The leadership team at ZetaHub is dedicated to helping marketers reach greater heights. The team uses its extensive experience in the industry and its diverse perspectives in order to improve their products and services. Optimizely is a software developer known for creating the world’s leading experimentation platform. It aims to help businesses navigate through their technology stack to be able to make data-driven decisions. One of the ways it does this is through their experimentation platform. The software offers behavioral audience targeting and analytics tools to help you take out the digital guesswork and create smarter marketing decisions. It is also backed with an enterprise-grade security system to keep all of your confidential company data protected. Makes Experimentation Easy. Gauging the effect of a marketing campaign before the launch is difficult. With software solutions like Optimizely, you can easily conduct experiments that will help you test the campaign’s impact. The company can do this by providing you with in-depth marketing analytics solutions. This way, you can make data-driven decisions and help you grow your business faster. Serves Over 6000 Companies. Optimizely caters to a diverse pool of clients. Be it small businesses or large enterprises, it can optimize and streamline experiences for them and their customers with ease. That said, you won’t have to worry about the scalability of their products. Used by Leading Brands. While recommendations from friends and colleagues are an effective way to legitimize a product’s reliability, adding household names to the list solidifies it even more. Companies such as IGN, Zendesk, Microsoft, OpenTable, and eBay entrust their marketing automation concerns to Optimizely, proving to users worldwide that this developer is credible. Since 2001, Absolutdata has been trusted by clients across the globe to deliver solutions to typical marketing woes; the firm does just that by offering a suite of analytics products and services. One of their most popular products is NAVIK MarketingAI, a cloud-hosted marketing automation platform built to help users improve the impact of their campaigns. The software comes with handy features such as hyper-personalization, campaign simulators, dynamic micro segmentations, predicted behavior models, and many more. Refined Approach to Analytics. Absolutdata products are equipped with the Absolutdata Decision Engineering Methodology™ system. This is a disciplined approach to analytics that uses artificial intelligence, deep learning, as well as refined data architectures. With these, you can ensure that you are using innovative platforms that evolve with industry standards. ISO Certified Company. The people behind Absolutdata are committed to giving you quality products that are compliant with internationally-recognized standards. Proof of their efforts is their ISO 27001:2013 certification. This means that they have top-notch security management programs and follow best practices when it comes to information security. Provides All Your Analytics Needs. Absolutdata does not focus on marketing analytics alone. It also offers artificial intelligence for sales, market research services, customer analytics solutions, and more. With that said, you can be sure that you will find all of your AI and data science system needs by choosing them as a vendor. Percolate is a technology company that helps marketers plan, create, and deliver exceptional content and campaigns. Aiming to power global marketing visibility, coordination, and governance, it offers a complete content marketing automation platform that lets you manage campaigns across channels. It is equipped with features for content distribution, asset management, marketing automation, and campaign planning to help you enhance the way you tackle marketing tasks. Focused on Helping Marketers Adapt. Percolate created its software solution primarily to help marketers adapt to the changing social and mobile technology landscape. To do this, the company provides you with innovative tools that let you merge traditional marketing strategies with new technologies so you can revamp and standardize your operations. Works With Your Best Interests in Mind. Built by marketers for marketers, Percolate built their marketing automation system to improve your business. This tech firm is determined to assist their clients in creating a more coordinated customer experience, reducing production costs, as well as making a better impact on your marketing campaigns. Acknowledged by Reputable Associations. Other than being the preferred software vendor of major companies such as McDonald’s, Cisco, and MasterCard, Percolate has also received its fair share of acknowledgments from reputable media outfits. Among those that have featured Percolate in their articles are Forbes, Fortune, the Wall Street Journal, and Digiday. IBM is a global conglomerate that helped shape how businesses and individuals use technology in the modern age. With over 100 years in the business, this tech pioneer has become one of the most renowned names in the industry. The company offers a wide variety of products ranging from healthcare and security platforms to customer engagement and marketing systems. Among these is IBM Marketing Cloud (formerly SilverPop). It was created to cater to the needs of online businesses and B2B companies. Engineered with simplicity in mind, this software provides top-of-the-line lead management, digital marketing, analytics, and journey design tools. Why Choose IBM Marketing Cloud? Socially Responsible Company. Technology is not just a business for IBM. They also use it to solve real-world problems through their corporate social responsibility initiatives. With the collective efforts of the management, their employees, and their clients, they support various programs on education, economic development, environmental sustainability, healthcare, and more. Industry Innovator. Innovation is one of the top priorities of IBM. The company allocates funding for continuous research of various technologies in order to create better products and services. In fact, they have over 3000 researchers in 12 labs located across six continents, making them one of the world’s largest corporate research laboratories. Positive Workplace. IBM values the achievements of their employees. This is why they do their best to recognize these milestones as well as provide them with avenues in which they can further pursue their passions. By doing so, they are able to cultivate a positive work environment that encourages their employees to do better in their career. AdRoll is a digital marketing tech vendor that specializes in software solutions for retargeting or transforming “window shoppers” of your site into actual buyers. Established in 2007, the company aims to use its technological know-how in helping companies, particularly SMBs, take advantage of online advertising without spending much. AdRoll uses its AI-based marketing solutions to help businesses achieve growth online. Robust database. You can integrate your customer data with AdRoll’s extensive online customer data pool of over 1 billion individuals to help your business develop more quickly as you increase your market. Market seamlessly in multiple channels. For over a decade, this company has advanced its technology to set up and enhance marketing across various marketing channels, from email, native, social, and display, to help you achieve better revenues. Multi-touch Attribution. AdRoll brings together all your marketing campaigns and activities into a single platform and provides smart insights for boosting your sales. Exponea is a company known for creating software solutions for survey management, analytics, and marketing. Serving B2C marketers worldwide, it aims to help businesses become more globally competitive through the use of cloud-hosted platforms that leverage the power of artificial intelligence. This vendor also designed their software to have the capacity to integrate with a wide variety of third-party applications to ensure a more personalized user experience. Diverse Professional Background. Exponea values strength in diversity. This tech firm has a robust team of professionals with backgrounds in technology, business, and other related industries. Because of their varying perspectives, they are able to innovate and further improve their products. Fully Certified Company. Exponea is the first GDPR-certified company in the world. The firm ensures the safety of its clients by implementing rigid risk management measures and as well as equipping its software offerings with top-of-the-line security systems. The company also has four ISO certifications for data management, security information management, cloud services, and protection of personal data in the cloud. Trusted by Reputable Companies. The client pool of a company says a lot about the quality of its services. In the case of Exponea, it has been the go-to software provider of various reputable organizations such as Missguided, ebuyer.com, medichecks, and Sygic. With that said, you can be confident that its team will expertly provide the services you need. Marketing campaigns involve quite a number of tasks that can be tedious, which hinder you from taking steps to achieving your business goals. Through the use of marketing automation platforms, you can simplify and speed up overall processes. The challenge really is finding the software vendor that will be able to provide you with the tools that your business needs. Hopefully, with our list of top 20 marketing automation software companies, you were able to find firms that share some of your company’s values, work at the level of expertise you prefer, and offer the products you need. Making that final decision which marketing automation system to select for your business is indeed a very serious matter as it can spell the difference between success and failure. But by undertaking due diligence, careful study, consultations with internal and external experts, and other important best practices when making a major technology spend, you’ll be able to make the right choice. Does the vendor clearly provide upfront and total costs? Are the price and the recommended company size suitable for your business? Is the set of features appropriate for your marketing needs? What are the requirements for learning how to use the software? Does the vendor provide training? Can it be customized to the specific needs and preferences of your business? Does it provide API access? What is the level of encryption/data security offered?  Does the vendor provide efficient and accessible customer support? If one or a few vendors are able to address these queries, do include them in your shortlist of potential vendors. If you want to learn more about what these software solutions can do for your business, be sure to check out our article on the features and benefits of marketing automation platforms. This should give you a better perspective on the uses of these systems as well as what to expect as you implement one for your operations. Finally, if in case you’re still unsure which platform to use but already in need to test one for your business, you can sign up for a HubSpot free trial here. Is Pardot Better Than Hubspot For Marketing Automation? What should marketing automation include for your online business?